I’m pleased to announce the publication of my first collection of short plays – this one all duets. High School forensics competitions – including scripts which won awards in the duet category at the 2015 SEA Forensics Competition. Theatrical showcases in any theatre setting. The drama classroom. I’m always looking for solid duet scenes and scripts for my actors and these serve the purpose very well. The scripts range from poignant drama, side-splitting comedy, and relevant social commentary. “Wonder Bread & Other Miracles” – set in Manhattan’s Central Park in 1932, young Eulalie Spencer from Harlem runs into Becky as she’s practicing her acting one Saturday afternoon. Becky is running home with a loaf of Wonder Bread. The two girls from different sides of Manhattan learn that friendship can grow in the middle of ethnic misunderstandings. “Words to Say at the End of the World” – the Award-Winning Script from Penang’s 2015 Short & Sweet Festival, this poignant script puts a mother and a daughter face to face with an atomic bomb as the daughter prepares for her first day of college. “A Minute Problem at the World’s Last Clock Shop” – puns about time and clocks rule the day, as a sneaky grandfather plays a trick on his unsuspecting daughter. “GeneRations” – another award-winner at the 2015 SEA Forensics competition – a woman shows up to give blood at a government agency, but it turns out to be something far more sinister. “God’s One Question” – a car accident lands a person at the pearly gates, and if she can answer one question, the Man Upstairs will let her in. But figuring out the question is not as easy as she thinks. 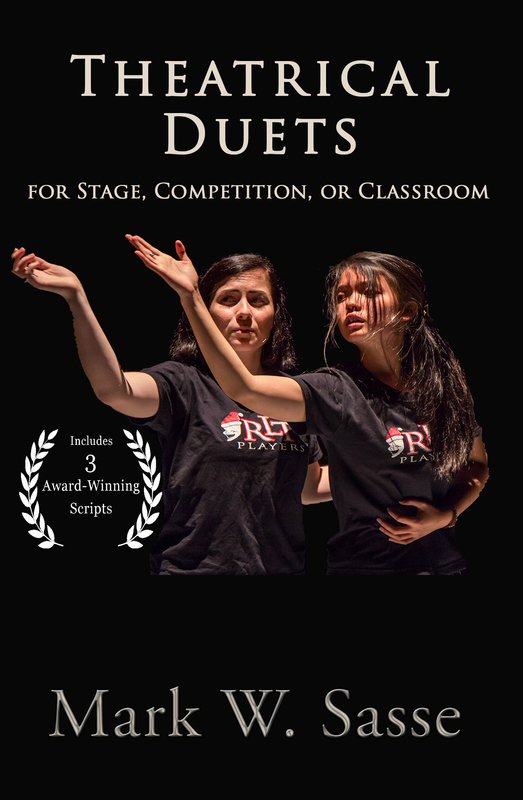 This entry was posted in 10-minute play, drama and tagged award winning duet scripts, duet acting, duet scripts, forensics competition, theatrical duets by sassevn. Bookmark the permalink.